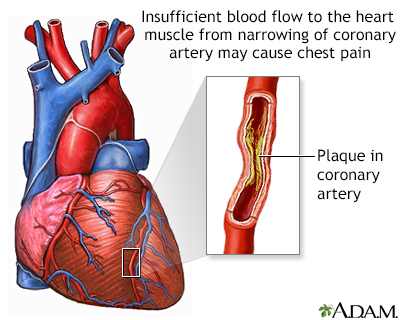 Coronary artery spasm is a temporary constriction of an artery in the heart. 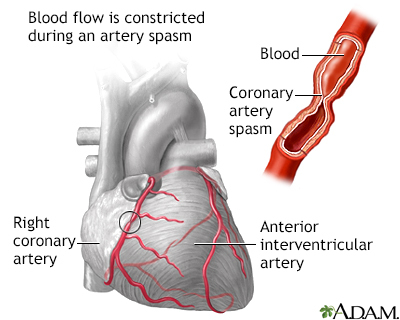 The spasm can slow or stop blood flow through the artery. 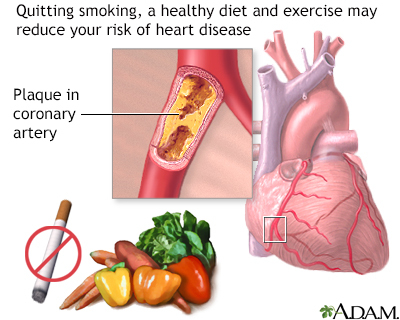 The main symptom experienced is chest pain. 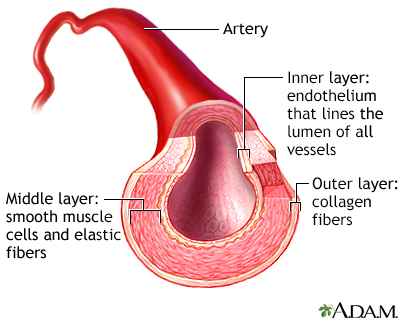 The structure of blood vessel walls is important in the regulation of blood flow. The tunica media contains smooth muscle fibers which contract to either dilate or constrict the size of the vessel. These small changes in the vessel lumen can greatly influence blood pressure and blood flow. Therefore, the tunica media plays an important role in maintaining blood pressure and continuous blood circulation.